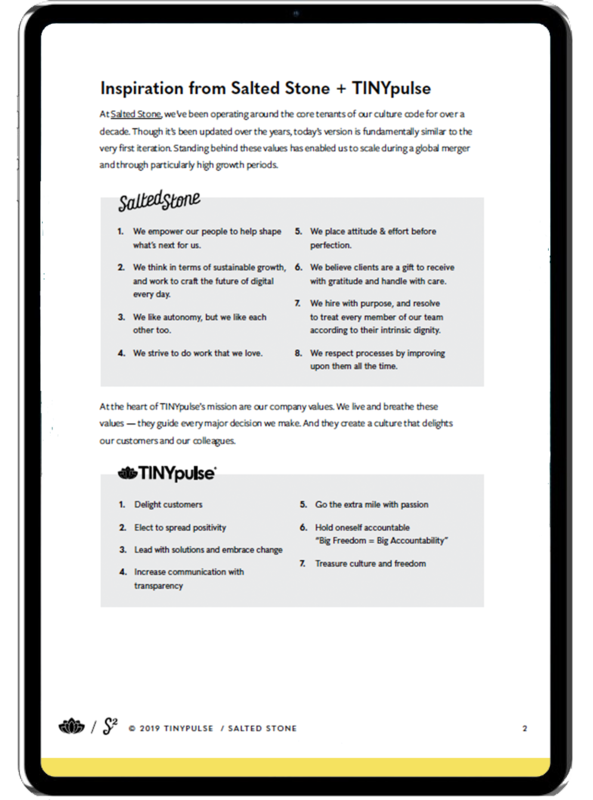 Answer our series of workbook questions to reveal the unique culture and values within your organization. 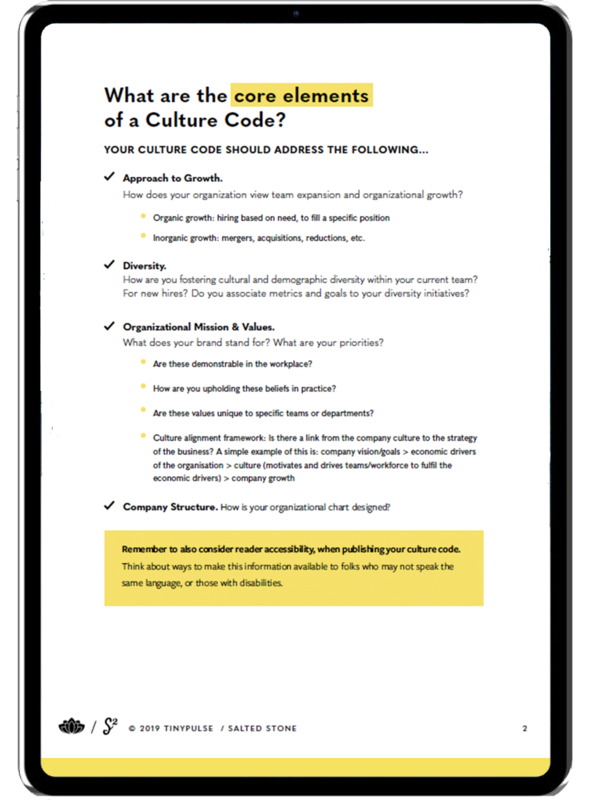 Start building your employer brand today with the Culture Code Workbook. Simply subscribe to our mailing list to download the workbook instantly. 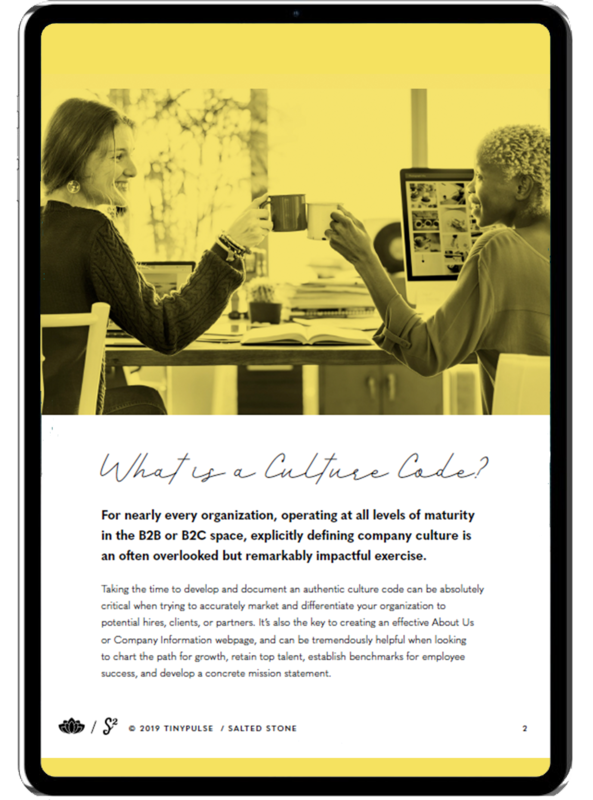 After completing the exercises in this workbook you'll be able to clearly document and communicate what makes your culture unique. Your Culture Code will serve as a powerful marketing tool for shaping how customers and employees feel about your brand. Streamline decisions and increase cohesiveness within your team by guiding employee behaviour and their approach to problem-solving. What is a Culture Code? A “culture code” is a declaration of values and behaviors that define your organization’s cultural identity. The right code will not only guide employee decision-making — it will differentiate your organization to potential hires, clients and partners. 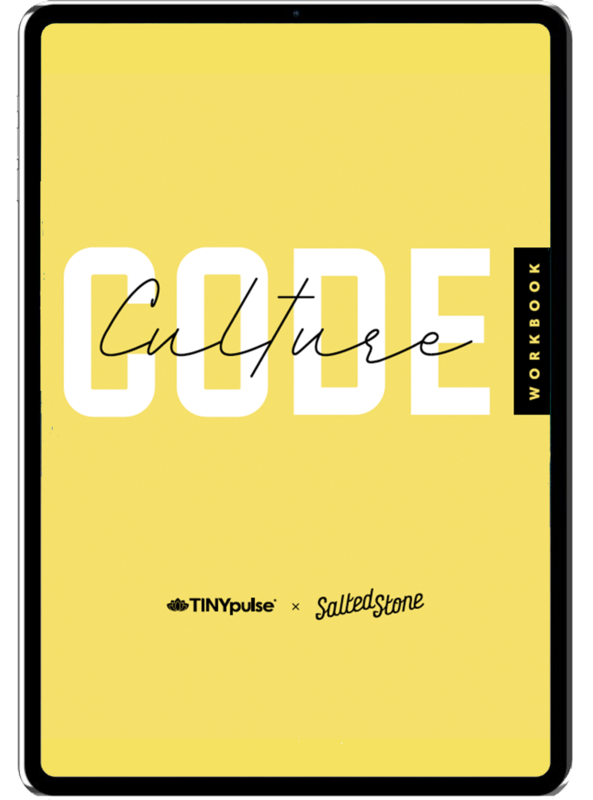 We want you to create the best code possible for your business, so we teamed up with award-winning digital marketing agency, Salted Stone to bring you the Culture Code Workbook. Our downloadable workbook is packed with questions and prompts designed to encourage reflective conversations between leaders and team members. What are your attitudes toward autonomy vs collaboration? Do you prioritize equality or hierarchy? Why is this? cautious approach to problem solving? How do you gather employee feedback and make actionable changes as a result? Once you've created your culture code, you're going to need a place to showcase it on your website. That's why we're offering an 'About Us' page design file with a custom Culture Code slider. The design file provides a clean and modern wireframe to help you build the ultimate 'About Us' page for your organization. We ask for your information so that we can send you articles, e-book and guides that you might find interesting. Your information is safe with us and you can unsubscribe at any time. Can I really download this for free? Yup. We just like creating useful content to share with our readers. Your free download link is just on the other side of this form. We'll subscribe you to the TINYpulse and Salted Stone mailing list.